We recently were part of a Wine and Art event at the Cranberry Inn, in Mercer. It was our first show of the new year. We were in the company of other talented artists: Amy Ackley Anderson, Misty VanderWolde and Doug Kikkebusch. We were fortunate to make some good contacts for future business during this event and it got me thinking about how valuable networking is. Each summer and fall, we do shows and demonstrations of the various aspects of our work in a number of different venues. Sometimes we do blacksmithing demonstrations, sometimes broom tying and sometimes spoon carving or fine arts. Sometimes we participate in historic reenactment or traditional skills demonstrations. At every event we participate in, we make new friends. Some of the events we go to feel like family reunions and we look forward to seeing these folks year after year. We are always torn when two events we want to go to happen to fall on the same weekends and we realize we will have to choose between them. We have several such dilemmas this year. the first of which is whether to go to the Spoon Gathering, in Milan, Minn. or to the Pioneer Days in Nekoosa, Wis.. Norm and Connie Peterson demonstrate the traditional skills of spoon carving and weaving at Laura Days. We have met and kept in touch with such great people at each event. At the spoon gathering, we always look forward to the reunion with friends like Phil Steele, Tom Dengler, Jarrod Stone-Dahl and Jacob Saltzman, just to name a few. While at Pioneer days, we get to be part of a traditional skills encampment as 19th century artisans. We always look forward to the Laura Ingalls Wilder Days in Pepin, Wi.. For us it is over six hours on the road to get there, but we've met so many really great people there and look forward to seeing them every year. Another hard choice will be how many shows to do and still be able to fill our growing backlog of orders. 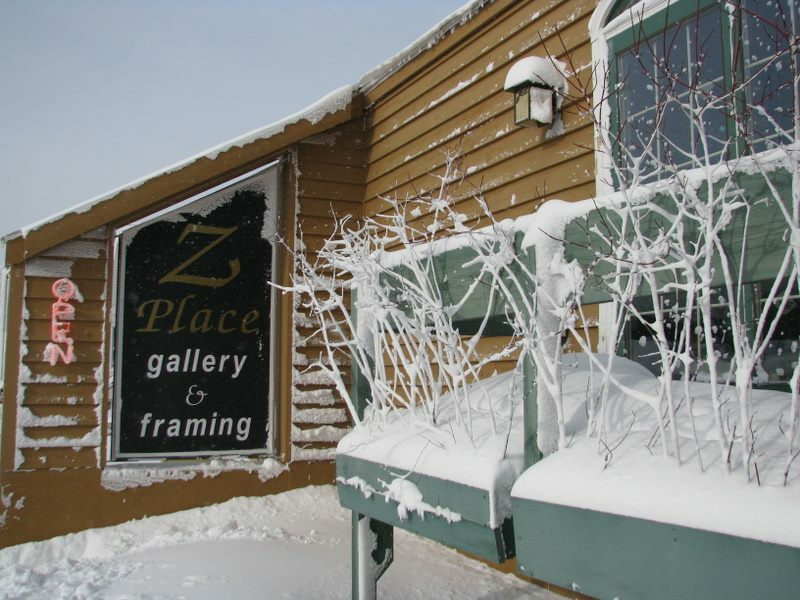 We've been making a lot of more local connections in the past year; the Iron County Fair, in Saxon, Heritage Days in Hurley, the Ontanogan Co. Fair in Greenland, Mi., and we are now part of the talented group of artisans who display work at Z Place Gallery and Framing, in Ironwood, Mi.. These local venues are opportunities to stay closer to home, but that also means having to make choices in forgoing some of the opportunities to participate in events with people we have built ties with that have come to feel like feel like family. We've met so many wonderful people. but we are finding that through social networking via the internet, we are able to keep in touch with new and old friends alike and keep sustaining these ties.